Swimming times – all year. Myrtleville is a busy place for swimmers. 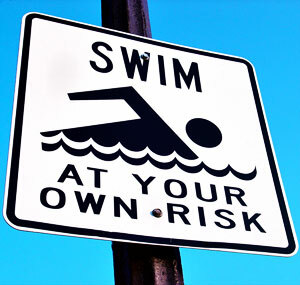 Some days – even weekdays – there are shifts of swimmers going in all day. For newcomers, this post is an attempt to put some structure on when there are swims they can join. We will not be publishing swim times weekly or monthly on this site. This is the information for year-round swimming. See below for where you can see more regularly updated swim times. 1. Don’t swim alone but if you’ve got another swimmer or swimmers with you and are aware of the tides and weather, just pick your own time: enjoy and be careful. Monday at 6.00 PM (From March to October) and Saturday at 8.15 AM (all year). We’re a friendly bunch – come down and say hello, work out who you’ll swim with and get in! Join the WhatsApp group which a lot of swimmers use. Get WhatsApp on your phone, then text your details to Aisling Barry and she’ll set you up – her number is zero eight six eight seven eight one seven two six. Connect on Facebook with the Crosser Swimmers – Edging Insanity Group. If that doesn’t work connect on FaceBook with Siobhan Russell – Siobhan updates on swim times most days! Email myrtlevilleswimmers@gmail.com – but don’t expect instant replies. Your best plan is to get down on Monday or Saturday and ask around for who’s swimming when. For instance, Denis Condon and a varying crew swim almost every day at 10.00am. There are regularly 06.30 swims and so on…. 4. If you’re new to sea swimming, read this. 5. If you’re new to Myrtleville swimming (and even if you’re not! ), read this. Once more, with feeling: DON’T SWIM ALONE. You’ve got lots of ways to find someone to swim with listed above. Please use them. This entry was posted in Swimming Times and tagged Myrtleville swim times, Open water swimming - Cork, Open water swimming - Cork - Ireland, Sea swimming - Cork, Sea Swimming - Cork - Ireland by myrtlevilleswimmers. Bookmark the permalink.